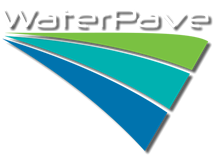 WaterPave through its innovative resin technology has developed a decorative permeable system called PaveTec designed to be applied directly over existing or new concrete. PaveTec consists of high-quality granite or marble stone combined with a UV stable resin to form a durable, hard wearing, seamless and smooth yet permeable finish. 1. Permeable – eliminates standing and pooling water. 2. Durable – heel safe, slip resistant, wheelchair safe. 3. Seamless – no trip hazards. 4. Reduces water damage and insurance claims. PaveTec is available in a range of colours in 6.0mm coarse or 3.0mm fine granite or marble stone.